If you happen to be taking the subway in New York City, try to stop for a second and look around you, as you might find some beautiful sights that will make you forget all the hustle and bustle of subway stations. 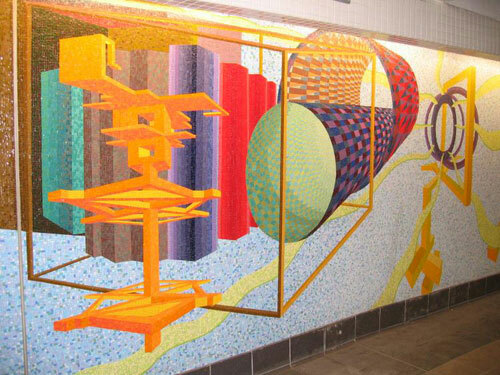 Many NYC subway stations are home to impressive works of mosaic art of all shapes and colors. 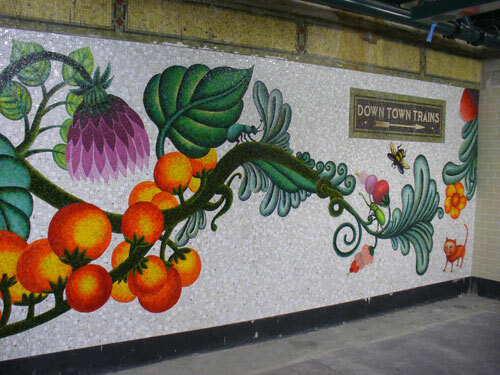 Resumed by artist and architect Squire Vickers at the beginning of the 1900s, the mosaic movement inside subways grows famous as more work continues to appear every year throughout New York subway system. Besides being a pleasant sight, much of this beautiful ceramic work reflects some cultural influence and creates an interesting and refreshing experience for commuters through vibrant colors and shapes. 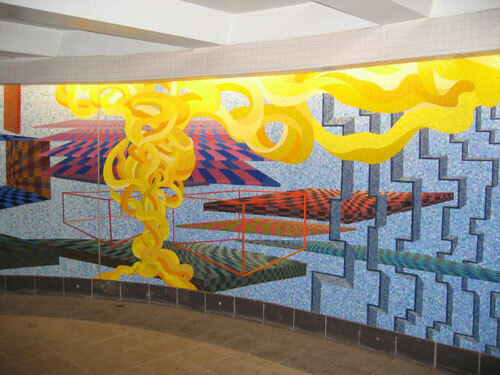 Nycsubway.org currently has 226 artworks listed around the subway system.